Me (Dave) shaking hands with the Brigadier. Just to prove the bragging sign we all passed under when entering Tonfanau which read, "This is the home of the future Warrant Officers and senior NCO's of the British Army" was right. 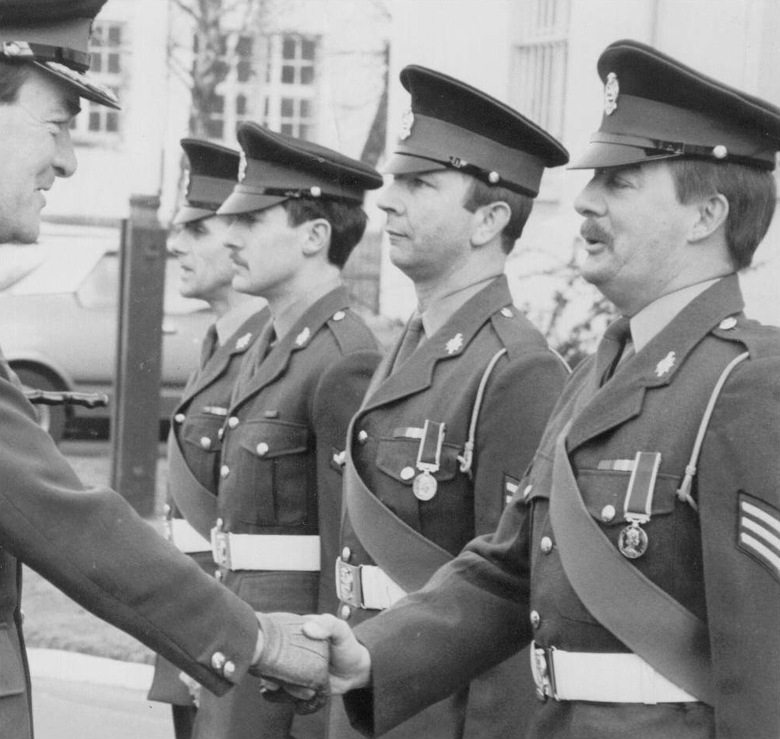 I've included this photo of me upon leaving the battalion in 1982... I (Dave) just made it!! !.